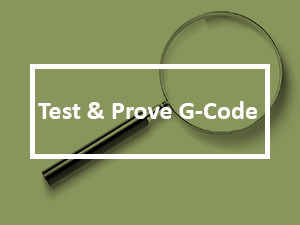 You Don’t Run G-Code Without Testing It, Do You?!?? Use a G-Code Simulator. Considering what can happen if there’s a mistake in the gcode, and even CAM software makes mistakes sometimes, you want to test your gcode before you run it to make chips. Testing can range from “cutting air” to using a G-Code Simulator. “Cutting Air” just means running with part zero set high above the workpiece so the cutter (hopefully) doesn’t come in contact with any material until you see what it will do. Cutting Air is the least you should do to test (also referred to as “proving out” a part program) your gcode part program. The trouble with Cutting Air is it can be very time consuming and it ties up your expensive CNC machine the whole time. What if there was a better way to get a second opinion and test your gcode? One that didn’t tie up the machine and that could be done much more quickly than Cutting Air. That’s what G-Code Simulators are for. It’s actually cheap and easy to run a G-Code Simulation. You need a piece of software that has variously been called a G-Code Simulator, CNC Backplot, or G-Code Viewer. You’ll also hear the terms “Verification”, “Emulation”, and “Virtual CNC” batted around, though they’re a little less common than the other three. The qualified answer is, “Probably Not.” The issue is the way CAM program simulators work. 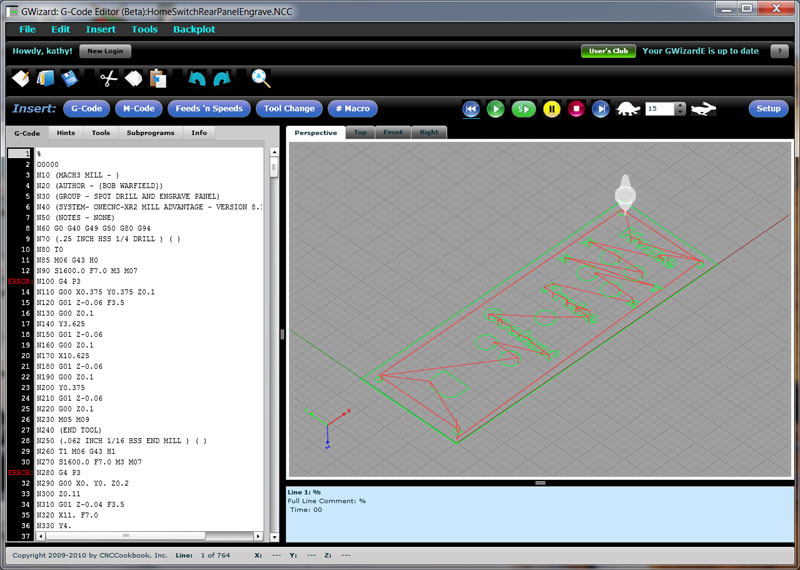 If your CAM program includes a true CNC g-code simulator, then yes, it can be used to help test g-code programs. The thing is, most CAM programs don’t. They just plot the same geometry information that was used to create the g-code output by the postprocessor. This allows for subtle bugs to creep in that are not detectable in the CAM backplot. For example, bugs in the post cannot be detected this way because the post is downstream of that geometry info. In other words, you aren’t really performing an independent test on the g-code. Relying on this type of simulator is fraught with peril. 1. Backplot: A quick visual indication of what motions the program will make with the cutter. 2. Extents and Soft Limits: Checks to make sure the cutter will stay within the area you want it in. 3. Alarm Checks: The backplot might look okay, but your program can still immediately alarm out on the machine. A good simulator will make many of the same tests as your machine controller ahead of time. For example, the if the distance from each endpoint to the center of an arc is not the same within a tolerance, you’ll get an alarm. Not all simulators can do all 5 things. 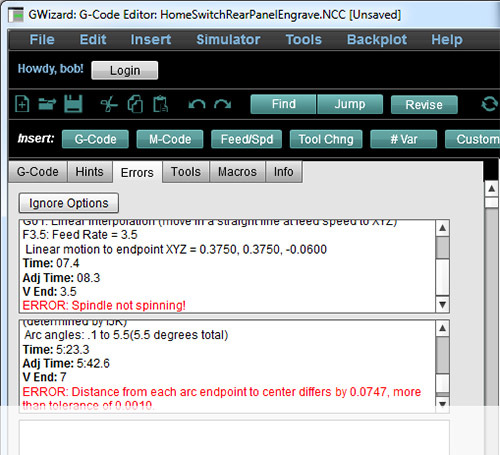 Our G-Wizard Editor can, because it offers full simulation. But many g-code viewers and editors are quite limited. What is a G-Code Simulator? In this particular g-code program, we’re doing some engraving for an electrical panel that’s part of a CNC controller I put together. 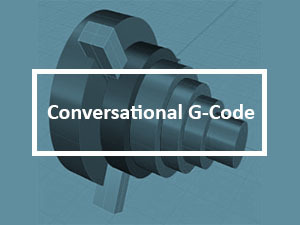 As we’ve discussed, g-code has “dialects” depending on which controller you use. You may be thinking that since all your machines are Haas, or all your controllers are Fanuc, that a Fanuc G-Code Simulator or a Haas G-Code Simulator would be fine. But you never know when you might bring in a different machine and be wishing your Simulator could deal with it. Also, your g-code editor and simulator software should be capable of understanding as many of these nuances as possible. 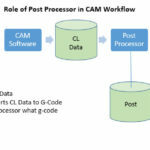 In CAM software, the nuances are handled by what’s called the “Postprocessor” or “Post”. You want your editor to have a “Post” too. For more, see our page on G-Code Dialects. By the way, a lot of g-code editor simulators offer very simplistic posts or even no post at all. They list only a few options or g-code dialects. Because of that, their simulations are not as faithful to your machine as you’d like. Be sure the g-code simulator you choose has full Post options. 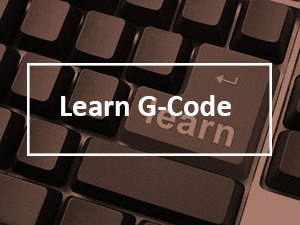 A good G-Code Simulator can tell you all sorts of useful information. Let’s go through some of the information we can glean about the electrical panel engraving program from the screen shot above. First of all, the graphics can often tell you at a glance whether the tool path is what you’re expecting. Be on the lookout for any sudden unexplained departures outside the envelope you’re expecting. The red lines are rapids motion and are red because rapiding into the workpiece is a bad thing to be on the lookout for. Green represents motions made at feedrate speeds. In G-Wizard editor you can rotate the backplot by holding down the right mouse button while moving the mouse on the Perspective view. In the other views, such as Top, Front, and Right, holding down the right mouse button lets you pan the view. You may need to zoom in close to see what’s happening. The mouse scroll wheel controls zoom. If you get lost in the forest of lines, simply press the icon on the toolbar that looks like a magnifying glass with an “A” in the middle. This is the “Zoom Extents” command, and it zooms the display and centers it based on the full extent of the motions for your program. If you want to redraw the backplot from scratch, there is a “Backplot” button as well–the two arrows circling one another. Pressing the Backplot button forces re-parsing and re-plotting of the entire program. The grid is there to give you an idea of position and size. It’s calibrated according to whether your Post is currently set for Imperial or Metric. Down on the status line at the bottom are X, Y, and Z coordinates of the tip of the mouse cursor, so you can point at something on the backplot to see its coordinates. To start a simulation, press the “Rewind” followed by “Cycle Start”. 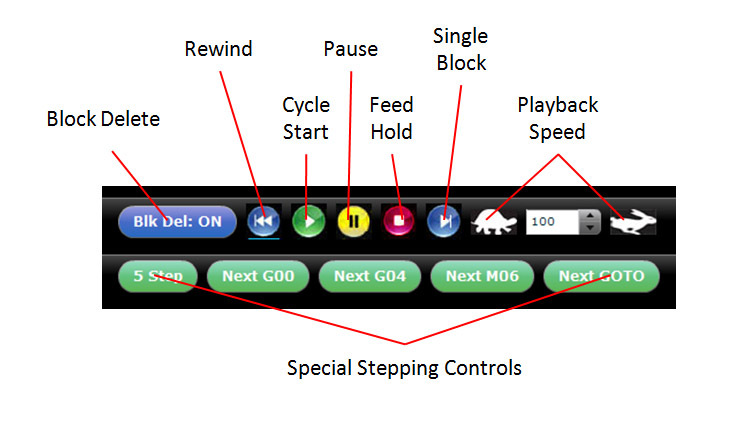 You can control playback speed as a percentage of maximum with the Playback Speed controls. The Tortoise makes it run slow, the Hare makes it run fast and you can change the percentage as well. If you want to step through block by block, turn on the “Single Block” button. It will turn red to signify it is active. To exit the simulator and show only the finished Backplot, just press “Feed Hold”. – “5-Step” causes 5 blocks at a time to execute in Single Block mode instead of just one at a time. You can change the number of blocks this button will execute via the Simulator Options menu. – “Next G00” moves the simulation ahead to the next G00. Often a g-code program will alternate between cutting moves and G00 moves to position for the next cut, so this is a convenient way to move forward. – “Next G04” moves the simulator ahead to the next Dwell (G04). Why is that helpful? Dwells can be inserted almost anywhere in a program without causing a problem, so insert a Dwell in a place you want to be able to go to easily while debugging your program and use this button to get there quickly. – “Next M06” moves the simulator ahead to the next Toolchange. – “Next GOTO” moves the simulator ahead to the next place where the program jumps to a subroutine or block number. 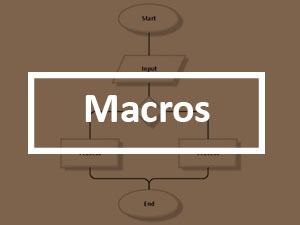 It’s handy if you’re trying to debug macros. This area shows you the g-code. The line being executed is highlighted. The illustration shows the very top line highlighted. If you click on this pane, GWE will offer to stop the simulation so you can edit the code. This shows you the backplot of the moves made up to the currently executing line. Position is like the position display on your machine controller. It’s showing you the X, Y, and Z coordinates, the Spindle RPM, the Feedrate, the current Tool, the Coolant status, and the time the program has run. Modes tells you all the modal states of the controller. For example, is some work offset active? It also tells you the last few #variables that changed and what the values were that they changed to. – In bold at the top is the original text of the line. This is useful if we’re in Hints view and can’t see the g-code line text. – G03 performs Counter-clockwise circular interpolation. In other words, it tells the machine to move the cutter in a circular arc at feed speed. – The Feed Rate was set to 7.0 on this line. – The coordinates of the center of the arc are 0.375, 0.375, -0.04. – The angle of the arc runs from 270 degrees to 0, a total of 270 degrees. After all that, the Hint skips a line and gives us a time. This is telling us how long it will take the g-code program to reach this line and finish it if we execute on the machine. In this case, we can see the arc will be completed 4 minutes and 54.7 seconds after the program starts executing. Phew, that’s a lot of data spewed forth, but it can be extremely handy to have when you’re trying to figure out what a g-code program is doing or what’s wrong with one. And, like I said, it’s hard for an expert to tell all of this stuff at a glance. GWE gives this level of detail for each and every line of the program. – It’s size both in terms of lines and bytes. If you’re trying to make your program fit in the limited RAM memory available to an older controller, it’s important to be able to tell quickly how you’re doing. – For each axis, GWE will spell out the range of motion used as well as the length, width, and height these ranges imply. You get the information both overall and in terms of just feedrate motion. The rapids will nearly always extend outside the feedrate envelope, but the feedrate envelope may give you a good idea of the rough stock size needed by the program. – You get to see the range of spindle rpm’s used as well as the range of feedrates used in the program. – You get to see the overall predicted run time of the program. – Lastly, there is a count of the different classes of operations within the program, as well as a count of the number of errors GWE discovered in your program. 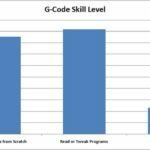 Why Use a G-Code Simulator? Are you starting to get some ideas for how a g-code simulator could be useful to you? As you can see, a good simulator throws off a wealth of information to help you understand what’s going on in the program. Machinists need to know these things for a variety of reasons. – Learning and Training: CNC Simulators are great for getting a better understanding of what the g-code is doing, how specific g-codes work, and in general, answering “What will it do if…” sorts of questions. If you’re trying to learn the ins and outs of a controller that is slightly different than the one you “grew up with”, a simulator can be a good place to start getting used to the differences of the G-Code Dialects. 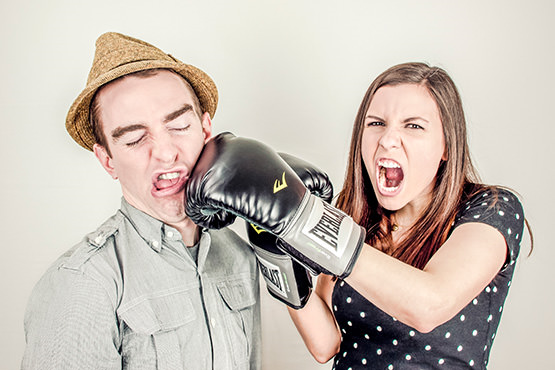 – Quick Sanity Check: You just posted some g-code out of your CAM program. Why not bring it up for a quick check in a good CNC Simulator. 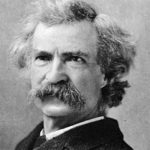 Are there any obvious errors being flagged? Does a quick visual check indicate nothing obvious is amiss? Most CAM programs have bugs (heck, all software does, the CAM people certainly aren’t immune). Most of the time, their backplots and simulations are not true G-Code simulations. They’re just geometry plots. If there is any kind of error in the post processing, the CAM simulator will not show you a faithful rendition of what your machine will be doing. I knew one machinist whose CAM program would periodically throw a wild rapid move in when he used work offsets. It was an easy fix, provided he caught it before running it on the machine. It became not only easy, but essential to do the quick sanity check on a CNC Simulator before running each program. After all, in many cases, the CAM program isn’t sitting right next to the machine. Do everything you can to make sure the program is right before trying to load it and execute it. 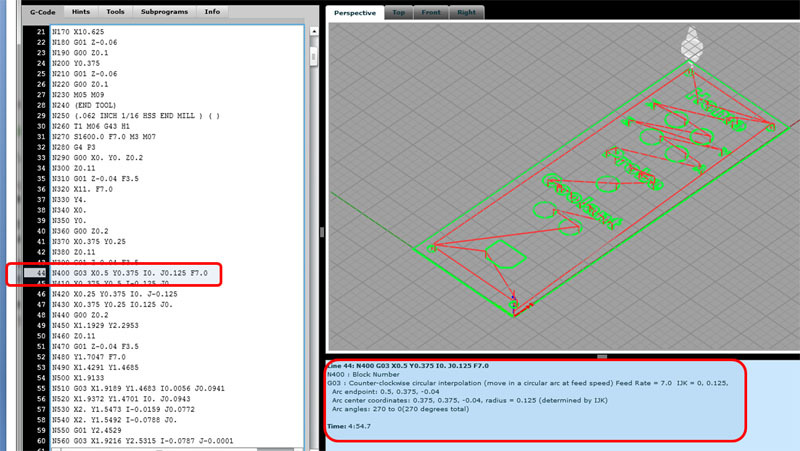 – Debugging Hand Written Code: Obviously if you’re writing g-code by hand, a CNC Simulator can be a real labor saver. In fact, I can’t imagine how you do it without one. – Tracking Down Subtle Errors: You’ve got a g-code program. It appears to have no errors, your machine runs it okay, but when the resulting part is finished, there are problems. 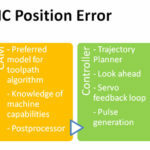 A CNC Simulator that can give you detailed information such as we worked through on the arc might help you to track down the source of the error and correct it, assuming the error stems from the g-code and not some other source. – Trying Out New Ideas: Suppose you want to compare some different approaches to a part program. Is it faster to interpolate a hole to begin pocketing, or are you better of running an extra toolchange so you can make the hole faster with a 1″ indexable drill? These kinds of things are ideal to compare with simulations, assuming they have the ability to accurately predict the run time of your g-code program. When you consider that some complex expensive parts can spend many hours if not days on machines, it only makes sense to figure out everything you can about how to optimize the job before you get to the point of putting it on a machine. There are probably lots of other reasons, but the bottom line is you can quickly tell what’s going on with your CNC program without risk to machine, materials, or tooling. Every error you find in your editor or simulator is an error you don’t have to find at the machine, which saves you time and money. The more extensive the error checking your simulator can do, the better. It’s ability to check errors will be limited by the precision of the Post. The more detail it understands about your controller, the more accurate it can call out issues that the controller may object to. Another important capability is being able to ignore any error message. Sometimes errors should be treated more like warnings. Sometimes they’re not quite right because of controller parameters that may change the controller’s behavior. Either way, it’s convenient to be able to ignore them when you want to. 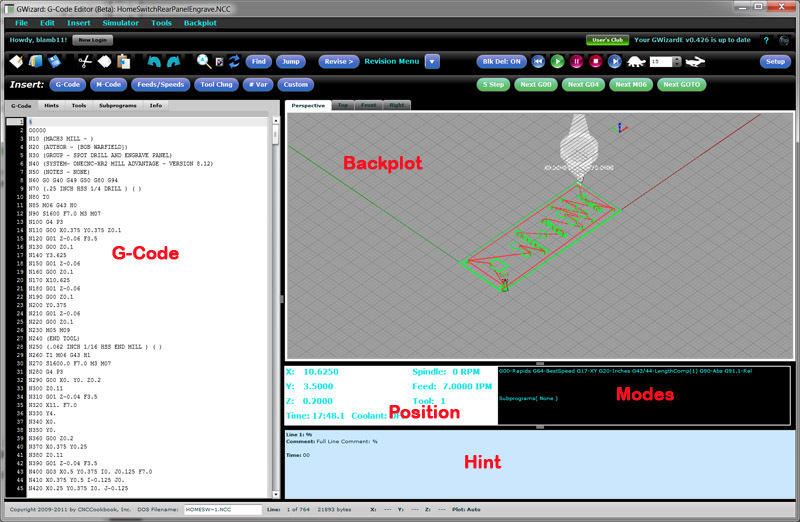 In the G-Wizard CNC Editor / Simulator, errors are displayed in the Hints view (see the prior chapter on CNC Editors for more on Hints). Part 1 is the basics of Tool Length and other Tool Data. Part 2 goes into topics like Tool Presetters and software to manage Tool Data. It’s not part of the tutorial, but you should pop over and at least scan the articles some time so you know what the issues and concepts are for Tool Data Management. – Full 3D simulation of the cutting. This is a basic requirement for verification and could as much be considered part of higher end CNC simulation as verification. – 3D Import and Display: Some capacity to import 3D models, usually in the form of .STL files (Stereo Lithography, a common 3D file format). For example, you might import models of the machine, fixtures, cutters, or the finished part. – Gouge detection: Gouge detection involves detecting a number of conditions, all of them bad. If the tool moves too quick, say at rapids, into the workpiece, that’s a gouge. If the tool moves into the fixtures (such as your Kurt Vise) or worse the machine itself, that’s also a gouge. Good verification software detects all of these conditions. – Tolerance verification: With tolerance verification, you can import a 3D solid model of your finished part and the verification software will tell you how the simulated cut model deviates from it. Ideally, it can show you a color coded diagram that is marked with all the places where the g-code program either cut too deep or not deep enough based on the tolerances you’ve established. – Full Machine Kinematics Simulation. This is the ability to show a faithful 3D reproduction of the machine with accurate modeling of everything from the machine’s physical travel limits on to even the exact performance envelope of the machine. It’s tough to say exactly where CNC Simulation ends and Verification begins, but just because a package calls itself a Verification package doesn’t make it so. In particular, if it can’t do the 3D import of fixtures and finished part, if it can’t do gouge detection, and if it can’t do tolerance verification, you shouldn’t regard it as a verification package. It’s a fancy simulation package. True Verification software tends to be quite expensive, so caveat emptor (beware the buyer) if you seem to have found a cheap one. It may be too good to be true. Simulators and Verifiers are extremely useful tools for CNC. There are a lot of other software tools available too. 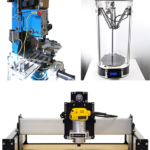 See our Digital Tooling article for a good overview of the different types that are available. 1. 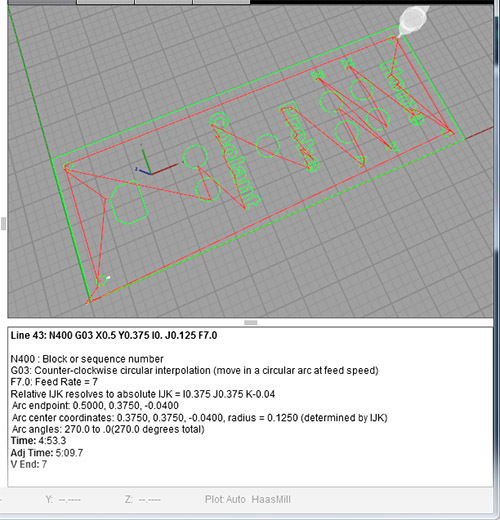 Get some sample g-code and load it into G-Wizard Editor so you can play with the backplotting capability. If you don’t have any samples, try our sample file page for some downloads, including the files displayed in the screen shots for this G-Code tutorial. 2. 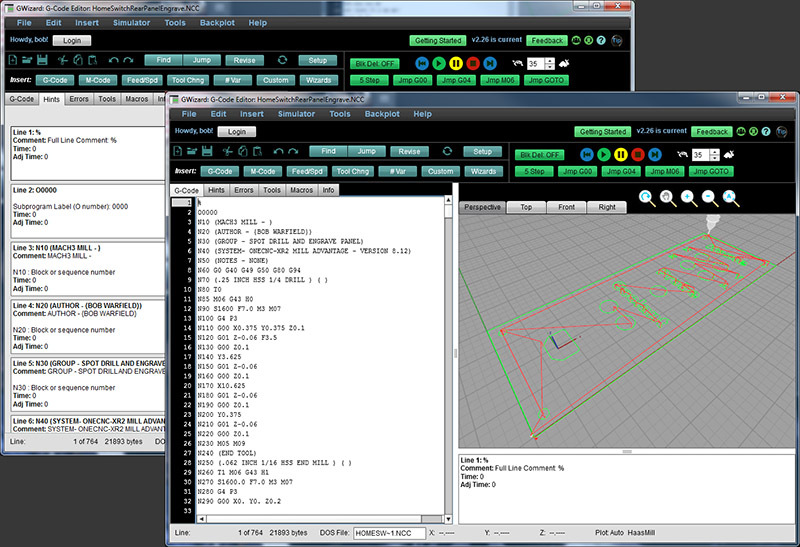 Experiment with the different views available in G-Wizard Editor. 3. Experiment with both Mill and Lathe sample g-code. Remember, you’ll have to change your machine profile from Mill to Lathe and be sure an appropriate controller profile is selected to view the different file types properly. Ready for Your Own G-Code Simulator? 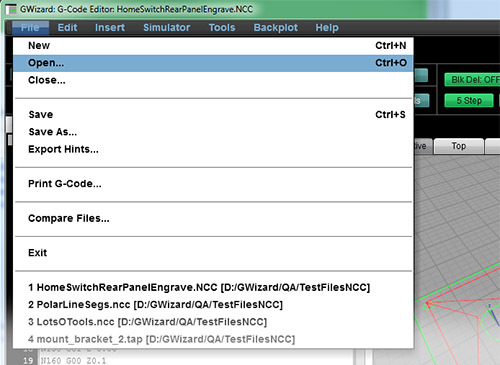 trust G-Wizard Editor to make GCode easy for them too. Remember how easy it was to do simple things before CNC? No need for CAD or CAM, just walk up to the machine and make a part. 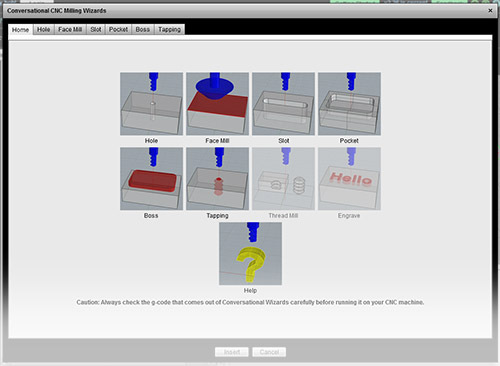 Conversational CNC generates gcode quickly and easily without having to fire up CAD or CAM. Make simple parts fast! 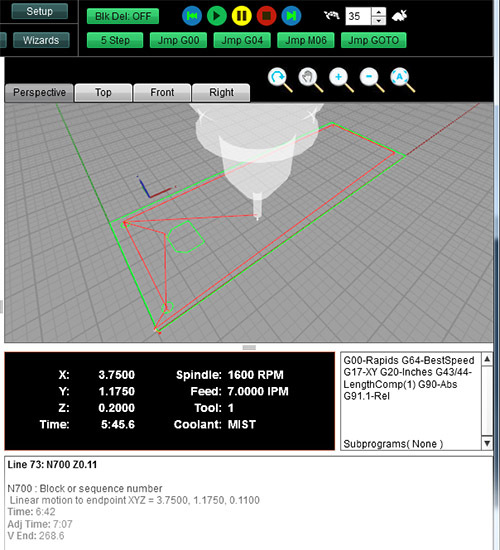 G-Wizard G-Code Simulator and Editor! Ever Use a G-Code Simulator to Debug Your Part Programs?